Today is a longer walk: 23km. 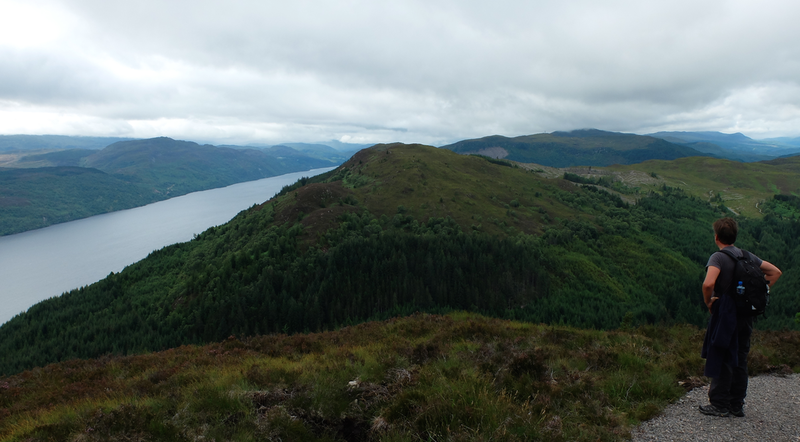 We are still walking beside Loch Ness. Again, we decide to take the new, higher level path. We are soon on the hills. After some time, we come to a forestry plantation. 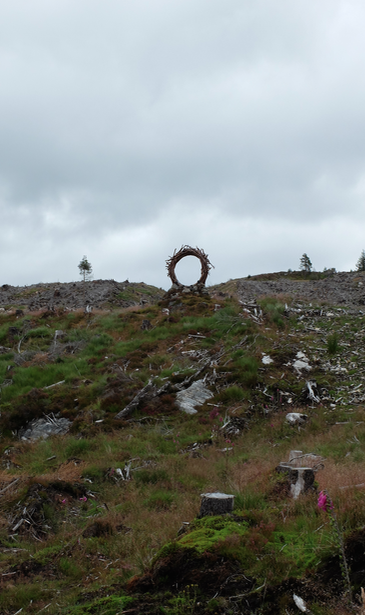 The owners of the land have cut down the trees. All around us are dead branches and tree stumps. But someone has made an art work. It is a strange sight. We continue to climb. We talk about trees. There are so many dead ones. 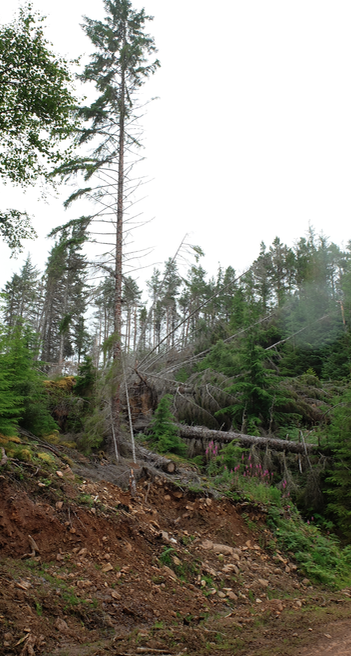 Storms have washed away the soil and blown the trees over. I have never seen so many dead trees. Because of global warming, storms are becoming stronger and stronger and more and more frequent. 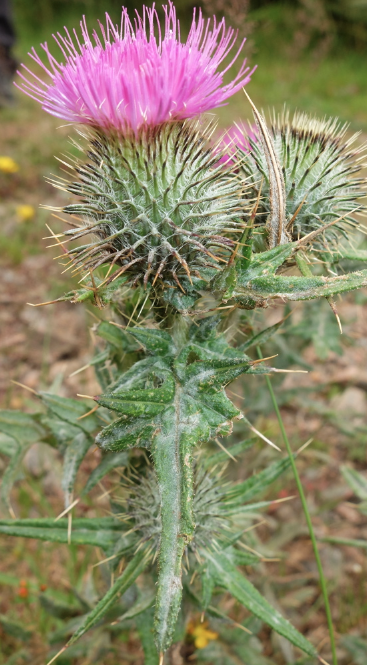 When we descend again, I take a photograph of Scotland’s national flower, the thistle. 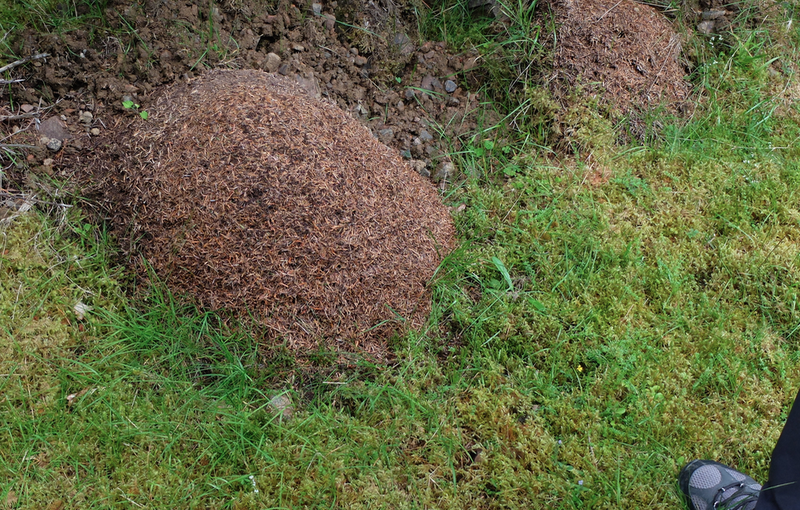 A little later, when we are walking through another forest, we find a large ants’ nest. 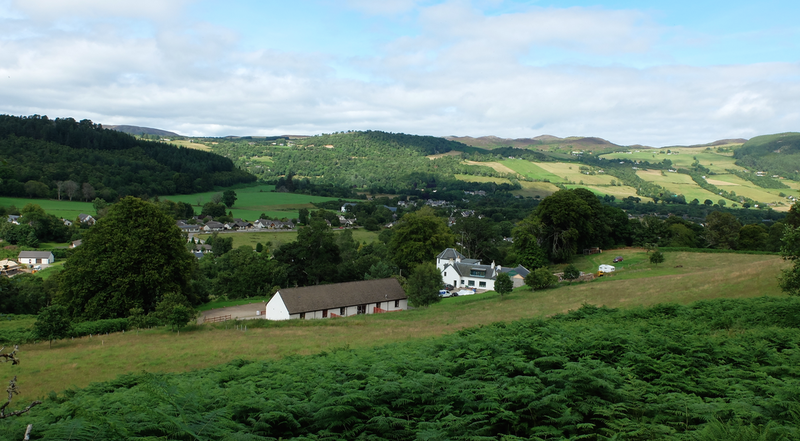 When we finally see Drumnadrochit, the sun is shining brightly.